In patients being treated for cancer, fatigue has also been linked to inflammation and up to 30 percent of breast cancer survivors experience persistent fatigue long after treatment has ended. Many breast cancer survivors experience fatigue and other debilitating symptoms that persist months to years after their course of treatment has ended. Now researchers at the Winship Cancer Institute of Emory University have found clues that may explain how these symptoms can linger. Chemotherapy, one of the major treatments for breast cancer, can leave a long-lasting epigenetic imprint in the DNA of breast cancer patients’ blood cells. That imprint is associated with biological signs of inflammation up to six months after the completion of treatment. 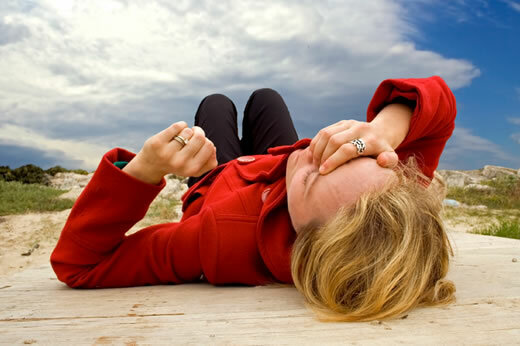 Inflammation in turn is believed to cause symptoms like fatigue. The findings are published online in the journal Brain, Behavior and Immunity. "Chemotherapy is a life-saving intervention, but for some women it comes at a cost," says Mylin Torres, MD, assistant professor of radiation oncology at Emory University School of Medicine and Winship Cancer Institute. "These results are the first to suggest a biological mechanism by which treatment-related side effects can persist long after treatment completion in women with breast cancer." That achy, tired feeling that comes from the flu is caused by inflammation, the body’s natural response to infection or a wound – but it usually disappears once an illness is over. In patients being treated for cancer, fatigue has also been linked to inflammation and up to 30 percent of breast cancer survivors experience persistent fatigue long after treatment has ended. To investigate the biology behind persistent cancer-related inflammation, Torres teamed up with Andrew Miller, MD, professor of psychiatry and behavioral sciences and director of psychiatric oncology at Winship Cancer Institute. First co-authors of the paper are Alicia Smith, PhD, assistant professor of psychiatry and behavioral sciences, and Karen Conneely, PhD, assistant professor of human genetics. In a previously published study led by Torres and Miller, chemotherapy was associated with increased markers of inflammation in the blood which correlated with fatigue. "We had found that increased fatigue was similar no matter whether patients received chemotherapy before or after surgery," Torres says, "indicating that the timing of chemotherapy was less important than whether you got it in the first place." In the current study, all the women went through partial mastectomy surgery. Some received varying forms of chemotherapy, and all received radiation at the end. They found that women who had been treated with chemotherapy exhibited changes in the methylation of the DNA in their white blood cells. Some of these changes were still present six months after radiation. Methylation is an epigenetic alteration in DNA, which does not change the A/C/G/T "letter" information in the DNA but does change how that information is read by the cell, influencing whether a gene is turned on or off. The researchers scanned hundreds of thousands of potential sites of methylation; only eight sites were reliably altered in women who received chemotherapy, and changes at half of those sites were visible six months later. The biology connecting this handful of sites to inflammation remains unclear; the eight sites were not in genes that encode inflammatory signaling proteins secreted into the blood, for example. However, the methylation changes did correlate with increased levels of two inflammatory signaling proteins, IL-6 and sTNFR2, that have been associated with fatigue in breast cancer survivors. Many chemotherapeutic agents are effective precisely because they damage DNA in cancer cells. While it was well known that chemotherapy induces epigenetic changes in cancer cells, this is the first study to identify epigenetic changes induced by chemotherapy for breast cancer in non-cancerous cells of the blood. The authors hypothesize that chemotherapy may directly alter methylation status in the blood cells, or it may be a result of the inflammatory response to chemotherapy-related tissue injury. "It may be something about the intensity or the repetitive nature of chemotherapy that makes it qualitatively different from acute inflammation," Miller says. "The more we know about this imprinting process, the better chance we have of getting to new therapies for chronic treatment-related problems, such as fatigue, in breast cancer survivors." The research was supported by the National Cancer Institute (R21 CA155511, P30 CA138292), the Cooper Family Foundation, and a Robbins Scholar pilot grant from Winship Cancer Institute.